Eosinophilic esophagitis is a disease that affects the esophagus. The best evidence now points to a sensitivity or allergy to certain ingested foods as its cause. We are seeing a striking increase in frequency in both children and adults. Current effective treatments available include medication, esophageal dilations, and avoidance of foods or inhaled allergens. Avoiding the foods responsible is the best course of long-term treatment. For adults, avoiding the most common foods for at least a month is the most accurate first step to determine the cause of the condition so the culprits can be identified and eliminated. Unfortunately, this massively changes most people’s diets so most people don’t even start this approach to treat their EoE. Dr. Bubak, of Dakota Allergy and Asthma, in conjunction with Paul Bubak and Melissa Olson, has written a dietary program that helps patients adjust their diet to identify what allergen is causing their condition. 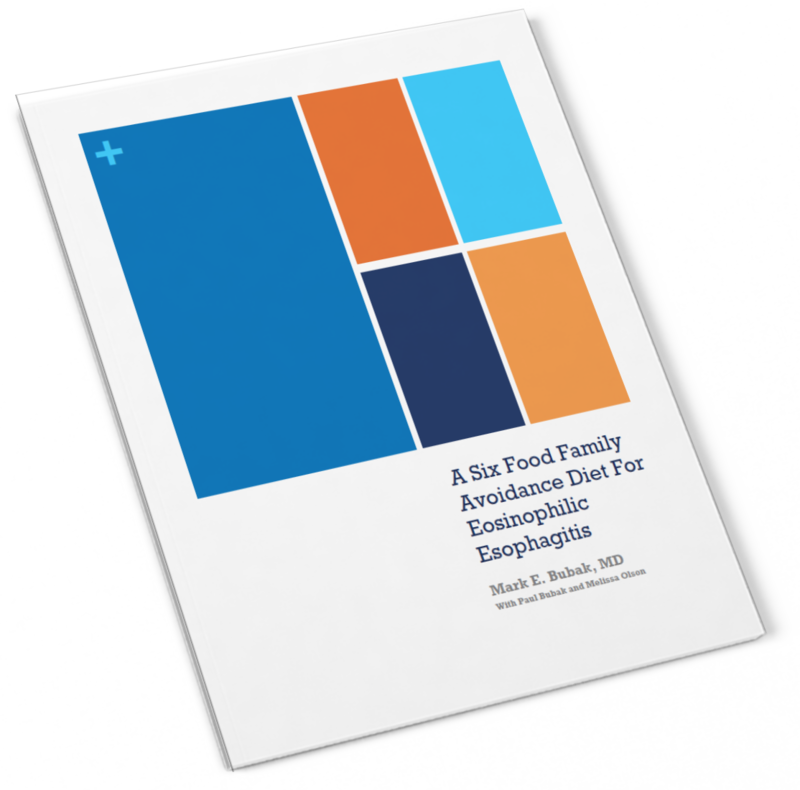 The book, A Six Food Family Avoidance Diet for Eosinophilic Esophagitis, provides a month of healthy, complete meal plans to eliminate potential allergens. The book contains detailed recipes and other tips for success. If one or more of the avoided foods is causing the eosinophilic esophagitis the patient will gradually start feeling better after the food has been eliminated. It is only to be used in conjunction with ongoing medical care with the patient’s gastroenterologist/allergist. ©2019 dakota allergy & asthma. all rights reserved.